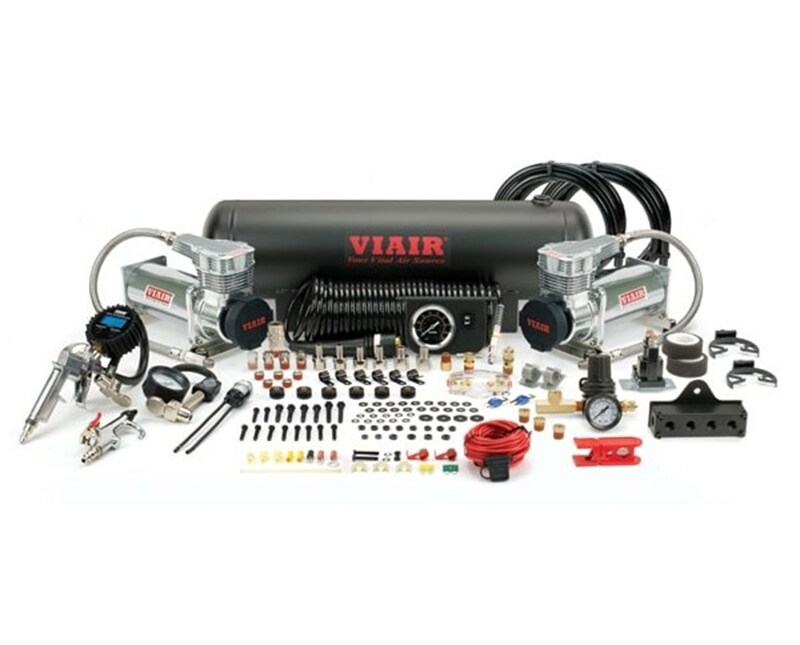 The Viair Dual 425C Gen. 2 Onboard Air System features the fast filling 425C Gen. 2 compressors with upgraded internal components to produce a 175 PSI working pressure pump. 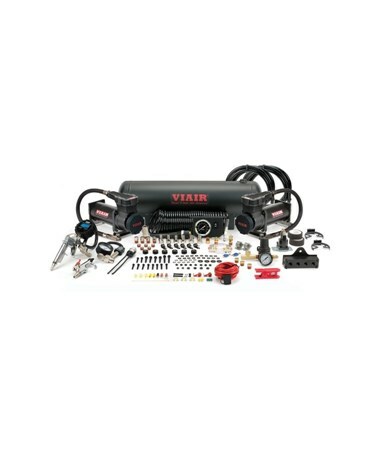 The first Viair compressor with a duty cycle of 33% at 175 PSI. It comes complete with a 2.5-gallon air tank to accomplish tasks on the go. This onboard air system delivers the necessary air source for numerous pneumatic applications. With a modern-inspired head design, this air system offers increased duty cycle and quieter dB levels. It produces air at 4.80 CFM flow rate making it ideal for inflating air bag kits, load-leveling kits, air horns and inflating large tires. The Dual 425C Gen. 2 Onboard Air System comes equipped with a 12-volt permanent magnetic motor with a maximum amp draw of 60 amps. It also features a thermal overload protector that shuts down the unit when overheated. The Viair Dual 425C Gen. 2 Onboard Air System has a newly designed thicker vibration isolators that absorb vibration and sound. It is moisture and dust resistant with an ingress protection rating of IP67. It comes complete with all the required components needed to install a working onboard air system. This onboard air system is covered by Viair's 1-year manufacturer’s warranty against defects. The 425C Gen. 2 Onboard Air System is available in two different colors. Please choose from the menu above. Run time of 20 mins.